Neanderthals lived in Europe and SW Asia for approximately 100,000 years to around 25,000 BP, though little is known about their lives. It has recently become clear that dental calculus is a trap for ingested material with great potential for reconstructing past biographical detail. We examined dental calculus from five individuals from the 50,000 BP Neanderthal site of El Sidrón, Asturias, using sequential thermal desorption-gas chromatography-mass spectrometry (TD-GC-MS), pyrolysis-gas chromatography-mass spectrometry (Py-GC-MS), scanning electron and optical microscopy. Until recently, most of the evidence pointed to Neanderthals being predominantly meat-eaters; we have shown that their diet was much broader than this. Our results demonstrate inhalation of woody smoke and bitumen or oil shale, ingestion of a range of carbohydrate-rich foods, possible evidence for nuts, grasses and green vegetables and cooking. The molecular evidence for cooking and exposure to smoke in the form of methyl esters, phenols, and polynuclear aromatic hydrocarbons is confirmed by the cracked/roasted starch granules embedded in the calculus. Identification of pigments and bitter-tasting appetite suppressants (dihydroazulene and chamazulene, and the coumarin, 4-methylherniarin) is intriguing. One possible reason for consumption of bitter-tasting plants with no nutritional value and these compounds is self-medication. All higher primates have a wide, applied knowledge of edible plants in their environments and there is growing evidence of animal self-medication. We have provided the first measurable molecular evidence that dental calculus is a trap for ingested material, while the starch granules we reported represent the oldest ever to be confirmed biochemically. Fossilized bacteria were observed by SEM; sequencing of bacteria from archaeological dental calculus is currently being developed. We have demonstrated that that the Neanderthals of El Sidrón had a sophisticated knowledge of their natural surroundings and were able to recognize the nutritional and medicinal value of certain plants. Surprisingly, there is no clear agreement on what constitutes a healthy diet. However, the dramatic worldwide increase in obesity and diet-related diseases has focused interest on the `palaeolithic' diet. Accessing direct evidence for ingested material offers a new window into the past and potential to examine issues related to the modern diet. Since 2009, the Large Hadron Collider (LHC) at CERN (Geneva, Switzerland) collides protons at center-of-mass energies of up to 8 TeV, the highest energy ever reached by a particle accelerator. One of the main goals of the LHC is the search for the Higgs boson, the last missing piece of the Standard Model (SM). The Higgs boson is the particle associated with a quantum field postulated to permeate the Universe and responsible for endowing elementary particles with their mass. 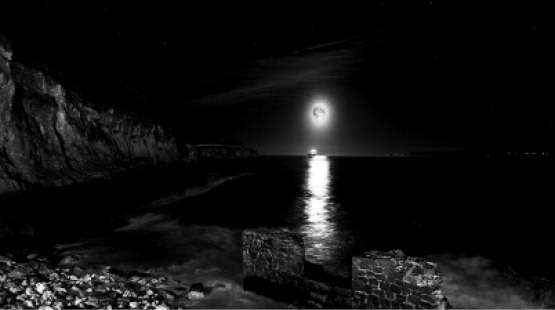 Unfortunately, the mass of the Higgs boson is not predicted, making its search particularly challenging. During the last 48 years, particle physicists have searched for the Higgs boson. In the 90's, the LEP electron-positron collider at CERN concluded that the Higgs boson, if it exists, should have a mass larger than 114.4 GeV at 95% confidence level (C.L). The search continued at the 1.96 TeV proton-antiproton Tevatron collider at Fermilab (Chicago, USA), till the accelerator was shut down on September 2011. While the Tevatron experiments achieved sensitivity to a SM Higgs boson up to a mass of 185 GeV, no definite signal was established. 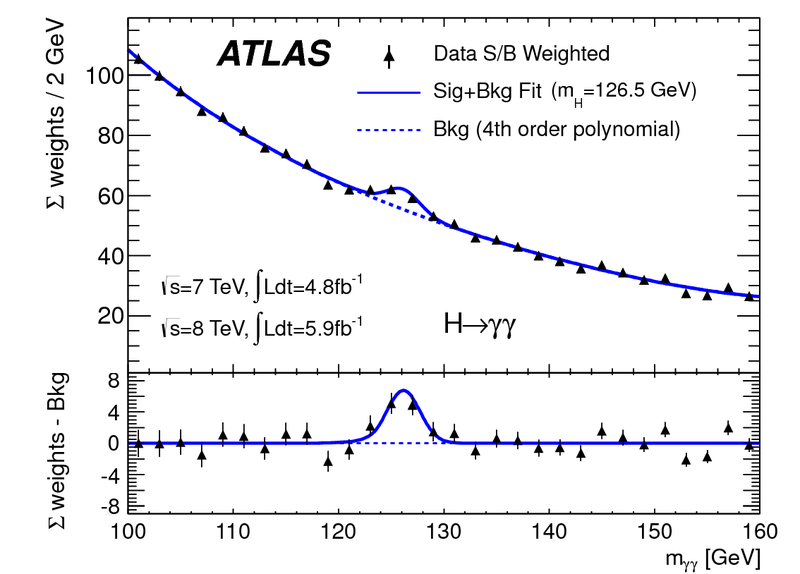 On July 4th, 2012, under lots of excitement and extensive media coverage, the ATLAS and CMS experiments reported at a public seminar at CERN the results of their searches for the SM Higgs boson using the data collected during 2010-2012. 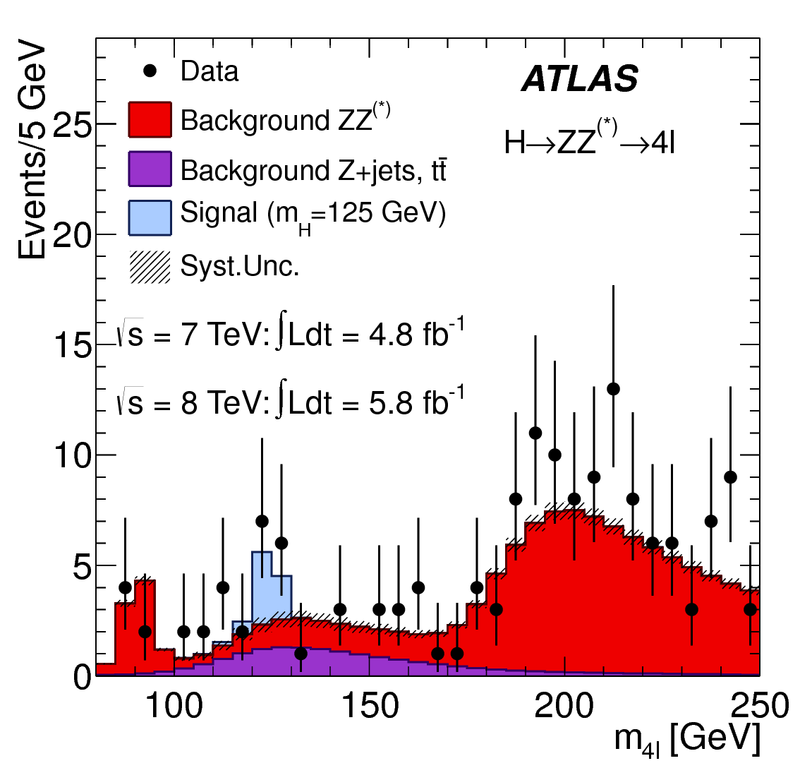 In particular, the combination of searches at the ATLAS experiment excluded at 95% C.L. the presence of a Higgs boson with mass between 111 GeV and 559 GeV, with the exception of the range 122-131 GeV . In this mass range a signal-like excess was observed at a mass of ~126 GeV, primarily in the searches targeting the decay modes into two photons (see Fig. 1) and into four charged leptons (see Fig. 2). The significance of the excess was estimated at 5.9 standard deviations from the background-only hypothesis, with a similar signal also observed by the CMS experiment. This represents the discovery of a new boson with properties compatible with those of the SM Higgs boson, marking the beginning of a new era in particle physics. The ATLAS discovery has been recently discussed in a special edition of the Science journal . The distribution of the invariant mass of diphoton candidates after all selections for the combined vs=7 TeV and vs=8 TeV data sample. The result of a fit to the data of the sum of a signal component fixed to mH=126.5 GeV and a background component described by a fourth order Bernstein polynomial is superimposed. The residual of the data with respect to the fitted background is displayed. The distribution of the four-lepton invariant mass, m4l , for the selected candidates, compared to the background expectation in the 80-250 GeV mass range, for the combination of the vs=7 TeV and vs 8 TeV data samples. The signal expectation for a SM Higgs boson with mH=125 GeV is also shown. "Observation of a new particle in the search for the Standard Model Higgs boson with the ATLAS detector at the LHC". ATLAS Collaboration, Phys. Lett. B 716 (2012) 1. "A Particle Consistent with the Higgs Boson Observed with the ATLAS Detector at the Large Hadron Collider". ATLAS Collaboration, Science 338, 1576 (2012). 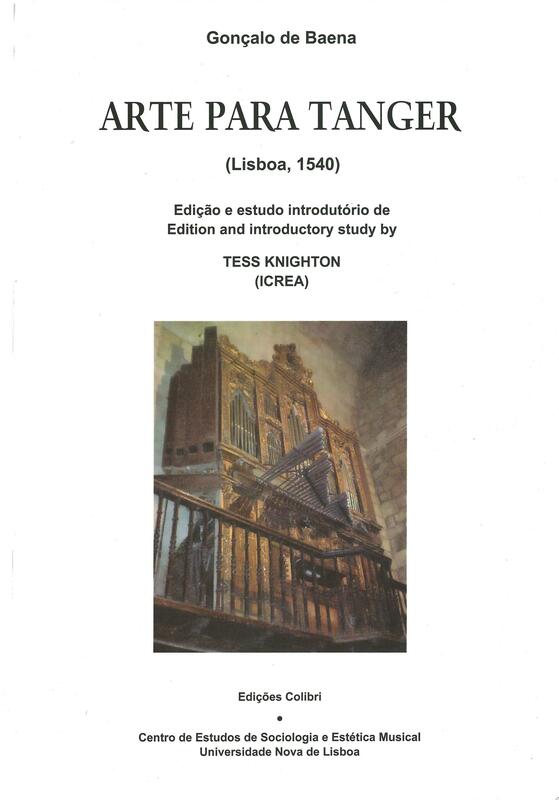 In June 2012 Tess Knighton was in Lisbon for the presentation of her study and transcription of Gonçalo de Baena's Arte para aprender a tanger (1540), the first edition in modern times. Baena's Arte was one of the earliest volumes of keyboard music to be published in Europe, of which a single copy survives, in the Palacio Real, Madrid. Dedicated to King João III, it uses an otherwise unknown keyboard tablature, and contains works by Spanish, Portuguese and Franco-Netherlandish composers, some of which are unique. Baena's Arte was intended as an autodidactic book, with a brief set of instructions and the pieces arranged according to difficulty. In his preface, Baena singles out Ockeghem, Agricola, Josquin des Prez and Peñalosa as the "great composers", but he also included pieces that did not form part of the Renaissance musical canon, such as those by his star pupil, his son Antonio. In addition to transcribing the keyboard intabulations, Tess Knighton has reconstructed the uniquely preserved works in their original vocal form, adding the texts as appropriate. At the book presentation in the Convento da Madrededeus, some of these reconstructions were sung alongside works played on the harpsichord - the first time these pieces have been performed for over 450 years. Cyclical growth leaves marks in bone tissue that are in the forefront of discussions about physiologies of extinct vertebrates. Ectotherms show pronounced annual cycles of growth arrest that correlate with a decrease in body temperature and metabolic rate; endotherms are assumed to grow continuously until they attain maturity because of their constant high body temperature and sustained metabolic rate. This apparent dichotomy has driven the argument that zonal bone denotes ectotherm-like physiologies, thus fuelling the controversy on dinosaur thermophysiology and the evolution of endothermy in birds and mammal-like reptiles. Our comprehensive global study of wild ruminants from tropical to polar environments shows that cyclical growth is a universal trait of homoeothermic endotherms. Growth is arrested during the unfavourable season concurrently with decreases in body temperature, metabolic rate and bone-growth-mediating plasma insulin-like growth factor-1 levels, forming part of a plesiomorphic thermometabolic strategy for energy conservation. Conversely, bouts of intense tissue growth coincide with peak metabolic rates and correlated hormonal changes at the beginning of the favourable season, indicating an increased efficiency in acquiring and using seasonal resources. Our study supplies the strongest evidence so far that homeothermic endotherms arrest growth seasonally, which precludes the use of lines of arrested growth as an argument in support of ectothermy. However, high growth rates are a distinctive trait of mammals, suggesting the capacity for endogenous heat generation. The ruminant annual cycle provides an extant model on which to base inferences regarding the thermophysiology of dinosaurs and other extinct taxa. Svalbard reindeer (courtesy of Ronny Aanes) was a substantial part of the ruminant sample analyzed in this study. Histological slides of a ruminant (left, Cervus) and a dinosar (right) bone. Compare the cyclical rest lines embedded in highly vascularized tissue. Amino acid sequences of proteins encoded in genomes of all walks of life change overtime. The study the changes, substitutions, of amino acids is one of the important pieces of the puzzle in trying to understand how genetic information predetermines species to show the features that they do. The prevailing debate in the field has focused on the issue of the mechanism that leads an emerging mutation to become common in the population and alters to fix, to completely replace the state that was present before the mutation arose. This question is formulated around the short-term timescales of evolution, focusing on individual mutations in isolation from each other and from other substitutions that may have occurred a long time before. Our study in collaboration with another group at the CRG focused on the effect of recent substitutions in relation to other substitutions that happened a long time ago. We asked the question of whether or not amino acid states that are observed in across the animal phylogeny are accepted with equal ease in all species; we studied whether or not an amino acid state that is observed in one animal would be inhibited from occurring in a different species. To this end we constructed large multiple alignments and measured the distribution of different amino acids across the sites in the protein. We then contrasted the short-term rates of substitution observed between closely related animals with the overall amino acid diversity across the animal clade. We observed that the overall amino acid diversity across long-term evolution is much larger than predicted by the short-term rates of evolution. Short-term substitutions are inhibited from occurring in one species, even if this substitution is creating an amino acid state that is present in some other species. Figure legend. 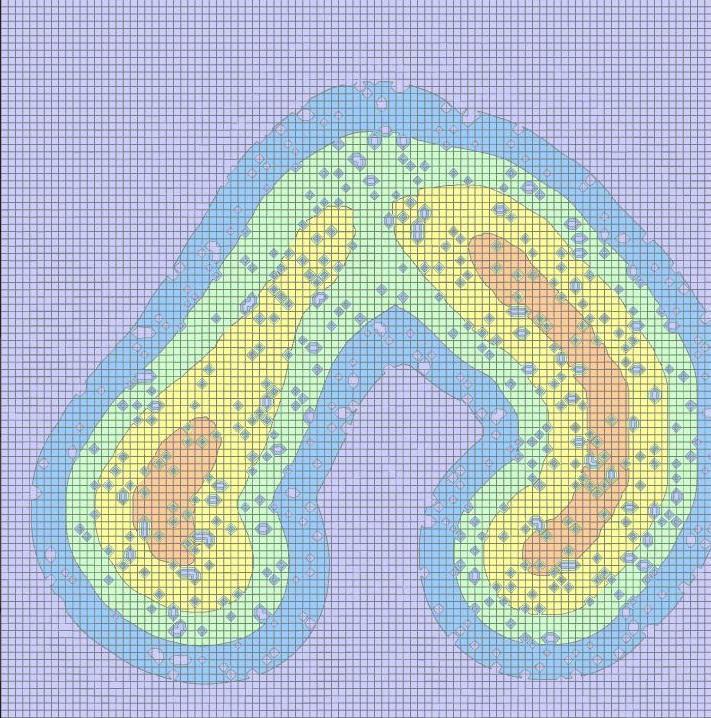 A conceptual representation of a fitness landscape, resembling a topographical map. Colour represents level of fitness, with the transition from violet to red corresponding to an increase in fitness. The X and Y axes represent an abstract representation of amino acid sequence. On this fitness landscape one sequence state corresponds to different fitness that depends on the sequence state elsewhere in the genotype (compare the fitnesses that correspond to a specific value on the X axis as a function of different values of Y). Breen MS, Kemena C, Vlasov PK, Notredame C, Kondrashov FA. "Epistasis as the primary factor in molecular evolution". Nature. 2012 Oct 25;490(7421):535-8. doi: 10.1038/nature11510. Cancer is primarily caused by somatic mutations - mutations that occur during our lifetime, not those that we inherit from our parents. But are all of our genes equally likely to mutate? Cancer genome sequencing projects allow this question to be properly addressed for the first time. Using publicly available data from different cancer genome sequencing projects shows that the rate at which genes mutate varies quite extensively in different regions of the human genome. Strikingly this regional variation in mutation rates seems to be quite consistent in different cell types (lung, breast, etc.) and for different types of mutations. What causes this regional variation? One important aspect seems to be how the genome is packaged. This may affect various cellular processes and can explain more than half of region-to-region variation. 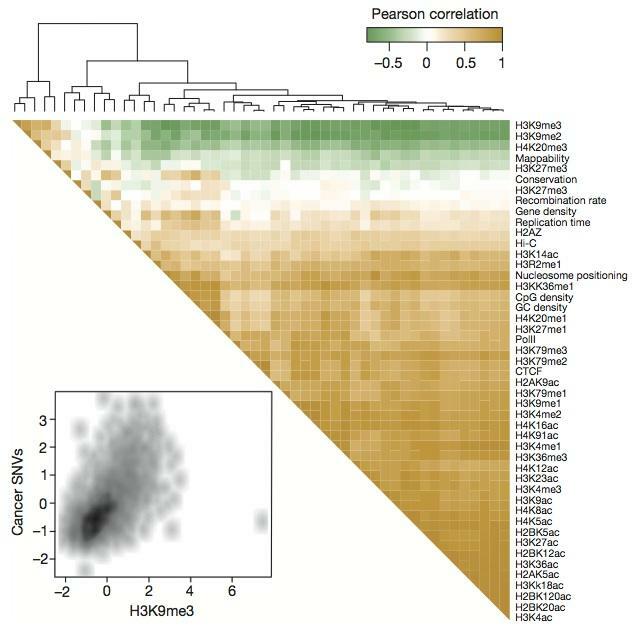 This suggests that the arrangement of the genome into 'closed' (heterochromatin) and 'open' (euchromatin) domains is a dominant influence on regional mutation-rate variation in human cells. Different regions of the human genome are more or less likely to acquire mutations during our lifetime. Here the relationship between different genetic and epigenetic properties of the genome is shown at 1Mb resolution. Those that report on how the genome is packaged (such as H3K9me3) predict quite well the likelihood of acquiring mutations in each region (Cancer SNVs).